NRL SuperCoach is back for 2019. NRL SuperCoach is back - bigger and better than ever before. You asked, we listened. Over time there has been a lot of feedback to clean up the user experience of the game, brighten it up and make it easier for new starters to play. We believe the simple changes are a big win. Our SuperCoach content is some of the best fantasy news and video in market. To help you keep up to date, we have made content the hero throughout the new site. We have cleaned up how content looks in the game and integrated video throughout. Content is king on the new SuperCoach site. Playing SuperCoach remains FREE, but you have the option to supercharge your experience by purchasing a subscription, which gives access to all SuperCoach articles, podcasts, videos, blogs, live shows etc. We'll have 50 pieces of content per week, including expert analysis from our resident guru Tom Sangster, past winners, Roosters great Anthony Minichiello and many more. What's more, we are currently running a special deal where you get the first 28 days for just $1, which also includes SuperCoach Stats for free. No lock-in contract. The Last Touch Assist is dead. The biggest SuperCoach NRL rule change in years will see the controversial scoring metric replaced by the new Try Contribution stat. As NRL fans well know, a try isn't necessarily the work of just two or three people. Sometimes many players contribute. Enter the brand new Try Contribution metric. Worth four points, Try Contributions could be awarded to multiple players involved in a try-scoring play. The SuperCoach salary cap has increased from $9.4m to $9.6m in line with the actual NRL cap. 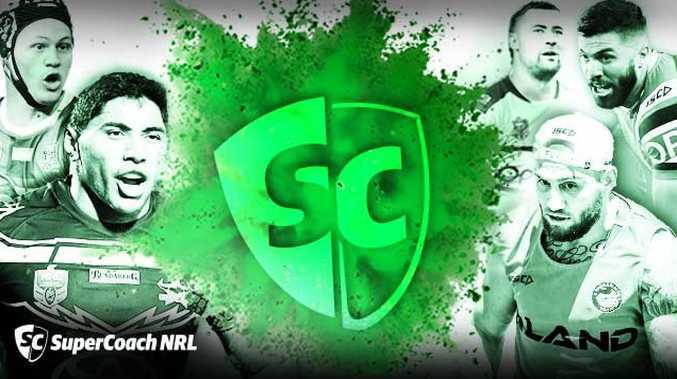 Join our SuperCoach NRL Central community Facebook page to chat in real time with our SuperCoach experts and share ideas with fellow SuperCoach nuts. Post your team and trade ideas to get suggestions from other coaches and feel the SuperCoach community spirit.